Laportea canadensis, commonly called Canada nettle or wood-nettle, is an annual or perennial herbaceous plant of the nettle family Urticaceae, native to eastern and central North America. It is found growing in open woods with moist rich soils and along streams and in drainages. Laportea canadensis grows from tuberous roots to a height of 30 to 150 centimeters, and can be rhizomatous, growing into small clumps. Plants have both stinging and non stinging hairs on the foliage and the stems. It has whitish green flowers, produced from spring to early fall. This herbaceous perennial plant is about 2-4′ tall and either branched or unbranched. The stems are light to medium green and abundantly covered with stiff white hairs that have the capacity to sting when they are rubbed against. The lower to middle leaves are alternate, while the upper leaves are opposite. These leaves are up to 6″ long and 4″ across; they are medium to dark green, ovate-cordate to oval-ovate in shape, and coarsely serrated or serrated-crenate. Young leaves are densely hairy and wrinkled in appearance, while older leaves become less hairy and wrinkled with age. Leaf venation is pinnate. The petioles are up to 4″ long and abundantly covered with stinging hairs, like the stems. The leaves may have a few stinging hairs as well, particularly along the central veins of their undersides. Some plants have a tendency to loose many of their stinging hairs as the season progresses. Individual plants are either monoecious (separate male and female flowers on the same plant) or unisexual. The male flowers occur in branching cymes from the axils of the leaves. These cymes spread outward from the stem and they are about the same length as the petioles of the leaves. Each male flower is greenish white to white and less than 1/8″ (3 mm.) across, consisting of 5 narrow sepals, 5 stamens, and no petals. The female flowers occur in branching cymes toward the apex of the plant. These cymes are erect to spreading and 4″ or more in length. Each female flower is more or less green and about 1/8″ (3 mm.) across, consisting of 4 sepals of unequal size (2 large and 2 small) and an ovary with a long style. The blooming period usually occurs during mid- to late summer. The flowers are wind-pollinated. Each female flower is replaced by a small dry fruit that is curved and ovoid in shape. This plant often forms colonies of variable size. 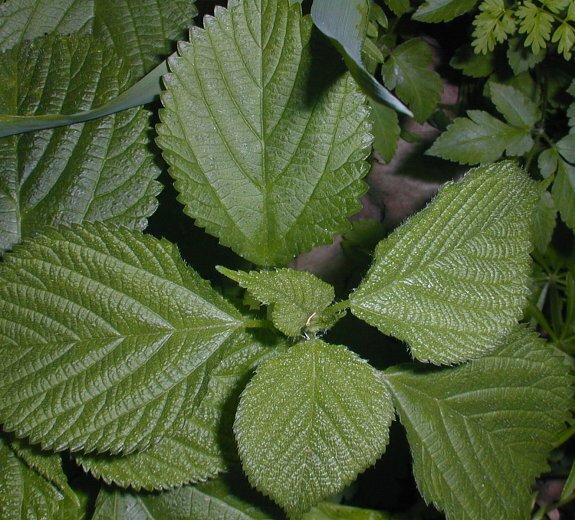 When the stinging nettles come in contact with the skin, the unlucky individual is dealt a painful burning stinging sensation, sometimes with barbs left in the skin. The skin can turn red and blister, and blisters can last for several days. Mmm… that should really hurt. Well, thanks a lot for viewing this short post. For more of these amazing plants, please hit that like button. Do they grow there also? I don’t really know. I have to do some more research. Nasty! Do not like these at all! Very scary… I don’t ever want to see that plant! Thanks 4 visiting!